Known by a few different industry trade names including: Densitec®, Hostalen®, Marlex®, Protec®. Polypropylene is a very versatile and tough material that has many applications in both industrial and in manufacturing applications. 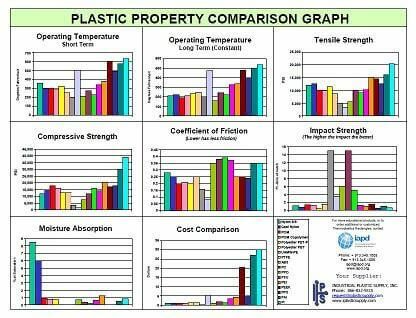 Some of the major factories that produce Polypropylene sheet are: Vycom Plastics, Simona America and Polymer Industries. If you need the FM-4910 grade, Laminations and Vycom are the main suppliers. We represent all of these companies. Some examples of Polypropylene usage are: containers to store food products, industrial chemical tanks, medical trays, and fibers that are used to make indoor and outdoor carpeting. A material that has the attributes of tensile strength, a resistance to high temperatures and is highly resistant to corrosion, Polypropylene is a unique material that can be used in the manufacture of chemical tanks that are used for the mixing of liquid materials that may have slight corrosive properties as part of their compounds. 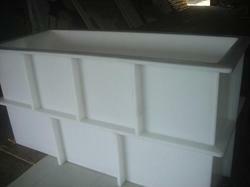 Polypropylene is available in a wide range of sizes and shapes. We supply it in sheets that can be cut to size for whatever your application needs happen to be, and it is also available in white and black, which are also available in several different thicknesses. Polypropylene is also available as a rod, which is available in a large range of diameters from .250″ and up. For a company that manufactures caustic compounds for resale to other B2B businesses, Polypropylene is the product that will meet your requirements as one of the most chemical resistant materials. It is a material that is resistant to temperatures of up to 180°F, and it is able to handle acids and caustic material as well as alkaline based materials. immune system. Polypropylene is also very recyclable. It is number 5 on the list of common plastics.